Airhart. J., Vidrich, A. and Khairallah, E.A. (1974) Compartmentation of free amino acids for protein synthesis. Biochemical Journal 140, 539-545. Airhart, J., Arnold, J.A., Bulman, C.A. and Low, R.B. (1981) Protein synthesis in pulmonary alveolar macrophages. Biochimica Biophysica Acta 653, 108-117. Baldwin, R.L. (1995) Modeling Ruminant Digestion and Metabolism. Chapman and Hall, London, UK. Baldwin, R.L., France, J. and Gill, M. (1987a) Metabolism of the lactating cow. I. Animal elements of a mechanistic model. Journal of Dairy Research 54, 77-106. Baldwin, R.L., Thornley, J.H.M. and Beever, D.E. (1987b) Metabolism of the lactating cow. II. Digestive elements of a mechanistic model. Journal of Dairy Research 54, 107-131. Baldwin, R.L., France, J., Beever, D.E., Gill, M. and Thornley, J.H.M. (1987c) Metabolism of the lactating cow. III. Properties of mechanistic models suitable for evaluation of energetic relationships and factors involved in the partition of nutrients. Journal of Dairy Research 54, 133-145. Barnes, D.M. (1990) Determination of aminoacyl-tRNA specific activity for the measurement of protein synthesis in vivo and in vitro. PhD dissertation, University of California, Davis. Barnes, D.M., Calvert, C.C. and Klasing, K.C. (1992) Source of amino acids for tRNA acylation, implications for measurement of protein synthesis. Biochemical Journal 283, 583-589. Barnes, D.M., Calvert, C.C. and Klasing, K.C. (1994) Source of amino acids for tRNA acylation in growing chicks. Amino Acids 7, 267-278. Bernier, J.F. and Calvert, C.C. (1987) Effect of a major gene for growth on protein synthesis in mice. Journal of Animal Science 65, 982-995. Garlick, P.J. (1978) An analysis of errors in estimation of the rate of protein synthesis by constant infusion of labeled amino acids. Biochemical Journal 176, 402-405. Garlick, P.J. (1980) Protein turnover in the whole animal and specific tissues. In: Florkin, M., Neuberger, A. and Van Deena. L.L.H. (eds) Comprehensive Biochemistry, Vol. 19B. Elsevier, London, pp. 77-152. Garlick, P.J., McNurlan, M.A. and Preedy, V.R. (1980) A rapid and convenient technique for measuring the rate of protein synthesis in tissues by injection of [3H]phenylalanine. Biochemical Journal 192, 719-723. Haider, M. and Tarver, H. (1969) Effect of diet on protein synthesis and nucleic acid levels in rat liver. Journal of Nutrition 99, 433-445. Hall, G.E., and Yee, J.A. (1989) Pamthyroid hormone alteration of free and tRNA-bound proline specific activities in cultured mouse osteoblast-like cells. Biochemical and Biophysical Research Communications 161, 994-1000. Hammer, J.A. and Rannels, D.E. (1981) Protein turnover in pulmonary macrophages. Biochemistry Journal 198, 53-65. Henshaw, E.C., Hirclic, C.A., Morton, B.E. and Hiatt, H.H. (1971) Control of protein synthesis in mammalian tissues through changes in ribosome activity. Journal of Biological Chemistry 246, 435-446. Hildebran, J.N., Airhart, J., Stirewalt, W.S. and Low, R.B. (1981) Prolyl-tRNA-based rates of protein and collagen synthesis in human lung fibroblasts. Biochemical Journal 198, 249-258. Hod, Y. and Hershko, A. (1976) Relationship of the pool of intracellular valine to protein synthesis and degradation in cultured cells. Journal of Biological Chemistry 251, 4458-4467. Huang, S. and Deutscher, M.P. (1991) The NH2-terminal extension of rat liver arginyl-tRNA synthetase is responsible for its hydrophobic properties. Biochemical and Biophysical Research Communications 180,702-708. Johnson, H. A., Baldwin, R.L., France, J. and Calvert, C.C. (1999a) A model of whole-body protein turnover based on leucine kinetics in rodents. Journal of Nutrition 129, 728-739. Johnson, H. A., Baldwin, R.L., France, J. and Calvert, C.C. (1999b) Recycling, channeling and heterogeneous protein turnover estimation using a model of whole-body protein turnover based on leucine kinetics in rodents. Journal of Nutrition 129, 740-750. Johnson, H. A., Baldwin, R.L., Klasing, K.C., France, J. and Calvert, C.C. (2000) A Rodent model of protein turnover used to design an experiment for measuring the rates of channeling, recycling and protein synthesis. Journal of Nutrition 130. 3097-3102. Johnson, H. A., Baldwin, R.L., Klasing, K.C. and Calvert, C.C. (2001) Impact of separating amino acids between plasma, extracellular and intracellular compartments on estimating protein synthesis in rodents. Amino Acids 20, 389-400. Kelley, J., Stirewalt, W.S. and Chrin, L. (1984) Protein synthesis in fat lung. Biochemical Journal 222, 77-83. Khairallah, E.A. and Mortimore, G.E. (1976) Assessment of protein turnover in perfused rat liver. Journal of Biological Chemistry 251, 1375-1384. Khairallah, E.A., Airhart, J., Bruno, M.K., Puchalsky, K. and Khairallah, L. (1977) Implications of amino acid compartmentation for the determination of rates of protein catabolism in livers of meal fed rats. Acta Biologica et Medica Germanica 36, 1735-1745. McKee, E.E., Cheung, J.Y., Rannels, D.E. and Morgan, H.E. (1978) Measurement of the rate of protein synthesis and compartmentation of heart phenylalanine. Journal of Biological Chemistry 253, 1030-1040. McNurlan, M.A., Tompkins, A.M. and Garlick, PJ. (1979) The effect of starvation on the rate of protein synthesis in rat liver and small intestine. Biochemical Journal 178, 373-379. Negrutskii. B.S. and Deutscher, M.P. 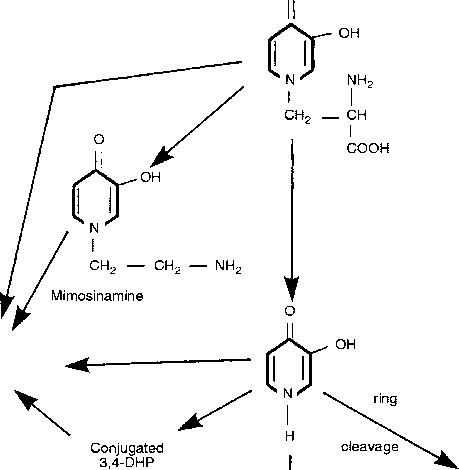 (1991) Channeling of aminoacyl-tRNA for protein synthesis in vivo. Proceedings of the National Academy of Sciences USA 88, 4991-4995. NRC (National Research Council) (1989) Nutrient Requirements of Dairy Cattle, 6th edn. National Academy Press, Washington, DC. NRC (National Research Council) (2001) Nutrient Requirements of Dairy Cattle, 7th rev. edn. National Academy Press, Washington, DC. Opsahl, W.P. and Ehrhart, L.A. (1987) Compartmentalization of prolific pools and apparent rates of collagen and non-collagen protein synthesis in arterial smooth muscle cells in culture. Biochemical Journal 243, 137-144. Payne, J.M., Rowlands, GJ., Manston, R., Dew, S.M and Parker, W.H. (1974) A statistical appraisal of the results of 191 herds in the B.V.A./A.D.S.A. joint exercise in animal health and production. British Veterinary Journal 130, 34-43. Quay, S.C., Kline, E.L. and Oxender, D.L. (1975) Role of leucyl-tRNA synthetase in regulation of branched-chain amino-acid transport. Proceedings of the National Academy of Sciences USA 72 (10). 3921-3924. Robinson, P.H. (1996) Rumen protected amino acids for dairy cattle: what is the future? Animal Feed Science and Technology 59, 81-86. Robinson, P.H., Chalupa, W., Sniffen, C.J., Julien, W.E., Sato, H., Fujieda, T., Watanabe, K. and Suzuki, H. (1999) Influence of postruminal supplementation of methionine and lysine, isoleucine, or all three amino acids on intake and chewing behavior, ruminal fermentation, and milk and milk component production. Journal of Animal Science 77, 2781-2792. Sarisky, V. and Yang, D.C.H. (1991) Co-purification of the aminoacyl-tRNA synthetase complex with the elongation factor eEFl. Biochemical and Biophysical Research Communications 177, 757-763. Schimmel, P. (1987) Aminoacyl tRNA synthetases: general scheme of structure-function relationships in the polypeptides; and recognition of transfer RNAs. Annual Review of Biochemistry 56, 125-158. Schneible, P.A. and Young, R.B. (1984) Leucine pools in normal and dystrophic chicken skeletal muscle cells in culture. Journal of Biological Chemistry 259 (3), 1436-1440. Search: Agriculture (1990) Number 34. Cornell University Agriculture Experiment Station, Ithaca, New York, pp. 1-128. Shi, M.H., Tsui, F.W.L. and Rubin, L.A. (1991) Cellular localization of the target structures recognized by the anti-jo-1 antibody-immunofluorescence studies on cultured human myoblasts. Journal of Rheumatology 18, 252-258. Sivaram, P. and Deutscher, M.P. (1990) Existence of two forms of rat arginyltRNA synthetase suggests channeling of aminoacyl-tRNA for protein synthesis. Proceedings of the National Academy of Sciences USA 87, 3665-3669. Srere, P.A. (1987) Complexes of sequential metabolic enzymes. Annual Review of Biochemistry 56, 89-124. Srere, P.A. and Ovadi, J. (1990) Enzyme-enzyme interactions and their metabolic role. FEBS Letters 268, 360-364. Stephen, J.M.L. and Waterlow, J.C. (1965) Protein turnover in the rat measured with 14 C-lysine. Journal of Physiology (London) 178, 40-4 1. Vanhatalo, A., Huhtanen, P., Toivonen, V. and Varvikko, T. (1999) Response of dairy cows fed grass silage diets to abomasal infusions of histidine alone or in combinations with methionine and lysine. Journal of Dairy Science 82, 2674-2685. Waterlow, J.C. and Stephen, M.L. (1966) Adaptation of the rat to a low-protein diet: the effect of a reduced protein intake on the pattern of incorporation of 14C-lysine. British Journal of Nutrition 20, 461-471. Biochemical Sciences 14(8), 313-314. Watkins, C.A. and Rannels, D.E. (1980) Measurement of protein synthesis in the rat lung perfused in situ. Biochemical Journal 188, 269-278. Yang, D.C.H. and Jacobo-Molina, A. (1990) Organization of mammalian protein biosynthetic machinery revealed from the amino acyl-tRNA synthetase complex. In: Srere, P.A., Jones, M.E. and Mathews, C.K. (eds) Structural and Organizational Aspects of Metabolic Regulation. Alan R. Liss, New York, pp. 199-214. Zak, R., Martin, A.F. and Blough, R. (1979) Assessment of protein turnover by use of radioisotopic tracers. Physiological Reviews 59, 407-447.